Neuro-imaging studies show that there is a brief interval during cognitive processing, just before we make a conscious decision, when our subconscious mind takes over. There is no scientific explanation for what happens during these seven seconds. Olivia Osborne knows. And it’s terrifying. Olivia Osborne is a forensic psychologist and former FBI agent who is blessed (or cursed, depending on who you ask) with unique gifts. Olivia is able to sense what others cannot--the spiritual presence of those who have "crossed over," as well as the living who are influenced, or in some cases possessed, by evil. The passing of her beloved Gran was the catalyst Olivia needed to leave the FBI behind and return to her native San Antonio, Texas. But a familiar evil has followed on her heels. When a series of brutal murders rock her city, Olivia is pulled into the investigation despite her plans to leave that part of her life behind. What if she isn't supposed to run? What if she was always supposed to stand and fight? 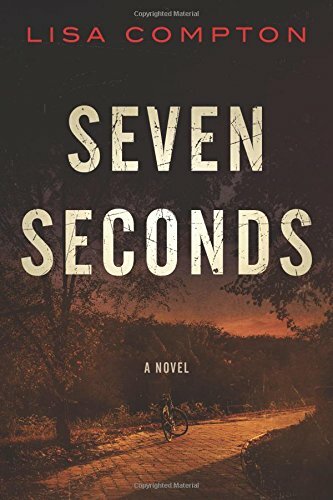 Seven Seconds is the first book in this exciting new paranormal crime procedural. I was drawn to this book by the paranormal edge to it, you know it's not just any old crime book when the perpetrator is evil itself. 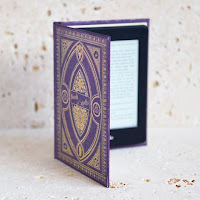 The paranormal element was just a small part of the book, so people who love crime thrillers and dislike fantasy will still enjoy Seven Seconds. The character of Dr Olivia Osborne is very well thought out. Like all women in her family, she has a gift and can communicate with spirits. As an ex-FBI agent she has returned to her home town of San Antonia and is called on by the San Antonia Police Department to help them with a series of murders. These murders seem to link to something that happened in Olivia's past and I felt like whatever evil spirit was involved 'then' has unfinished business with Olivia 'now'. 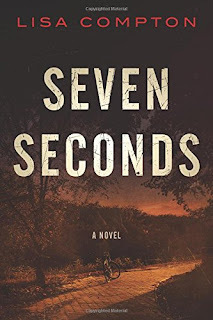 What I found so interesting is that the seven seconds idea is TRUE! The idea that our subconscious makes a decision before our conscious mind even knows about it is really eye-opening. If, like me, you think of your subconscious as your spirit or soul, it is very possible that other elements on the astral plane could influence your decisions. In those seven seconds before our conscious mind takes over, who's to say we aren't open to suggestion? Scary stuff indeed. It took me a good few chapters to get into this book, but once I did I was gripped. I would have liked to explore the paranormal a bit more but I think Lisa Compton has cleverly weighted the normal/paranormal to appeal to many readers. I am intrigued to see what comes next for Olivia Osborne.